Evelyn Johnson conceived of and recruited ten families for a Quilt Barn Trail on the Old Mission Peninsula. 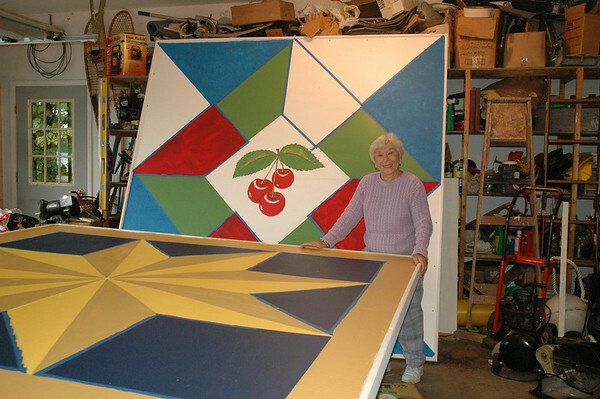 She is pictured with two oversized squares in progress. While the five completed quilt square projects were spearheaded by the barn owners, Johnson, her husband, Carl, and volunteers are helping create the remaining five.